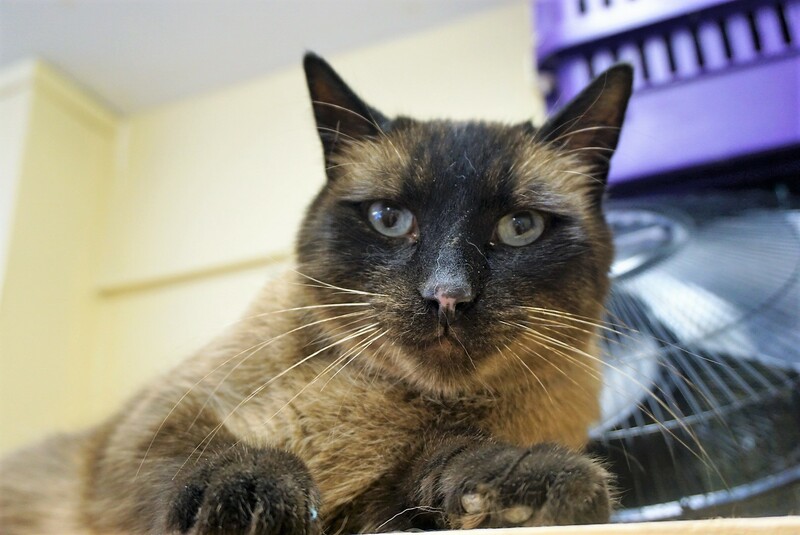 Jack was surrendered to the Winnipeg Humane Society before being brought to Rescue Siamese. This beautiful boy is a big teddy bear with the sweetest meow. He is an easy-going cat and would probably do well in most households, although he is untested with dogs. Jack has a history of urinary crystals (blockage) and has to remain on a urinary tract-friendly diet for the rest of his life (ie. high-protein, low-carb diet with extra added water). If you would like to meet this wonderful boy, you can visit Jack at our store location at 38 Barberry Road.